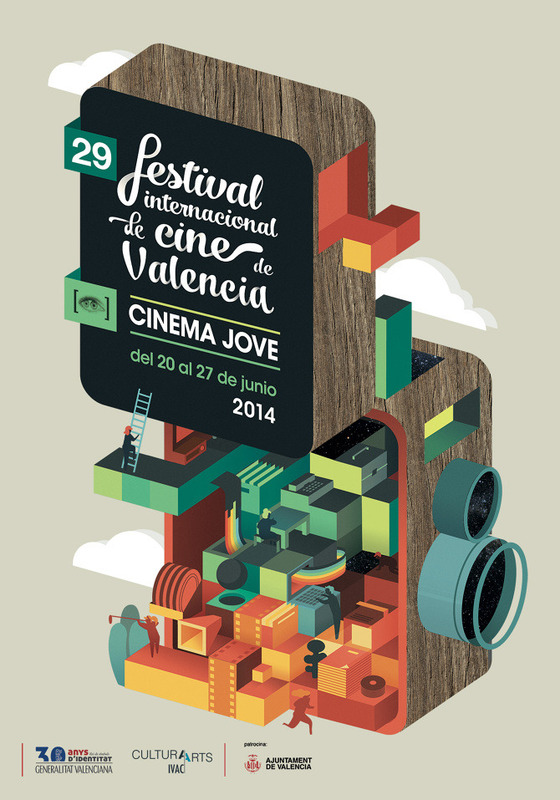 International Film Festival of Valencia. Wide campaign for the 2014 edition. The campaign ranged from poster design to adaptations such as covers, diary programms, invitations, brochures, catalogues, and press passes, as well as larger formats such as bus advertisements, subway billboards, and flags for important bodies such as the Valencian FIlm Library. There will also be a TV teaser.